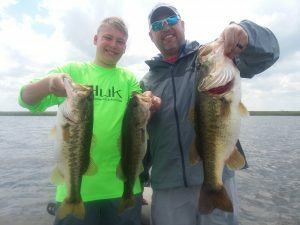 Peter Wellsmith and his son came to Okeechobee to catch some fish and enjoy a getaway for spring break. These guys had a couple great days catching plenty of bass. Peter caught his biggest at just over 5lbs. on a live wild shiner. They caught between 25 and 40 each morning on a 6hr trip going through 8 dozen shiners in 6hrs each day. The fishing is heating up as the weather is heating up for the arrival of summer. The blue-gill bite is on as well guys are catching their limits of 50 fish each day. Come on down for some fun, fishing, sun. and enjoying some friends and family. 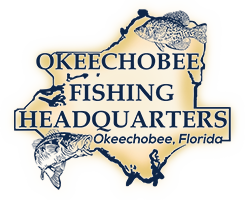 The post Lake Okeechobee Bass Fishing- Okeechobee Fishing Report 4/1/19 appeared first on Lake Okeechobee Bass Fishing at it's BEST! Top Fishing Guides.